The Peregrine Fund is working towards protection of three important areas in Madagascar. These include wetlands and dry forest sites that help conserve the critically endangered Madagascar Fish Eagle and other wetland and forest biodiversity. Like most raptor species, if a nesting attempt fails for any reason, the pair often lays another clutch of eggs during the same breeding season. Similar to the Galapagos Hawk, female Madagascar Fish Eagles are polyandrous, so they have several unrelated males assisting in nesting activities at the same nest. Madagascar is one of the world’s highest conservation priorities due to the high diversity of endemic species that are found there. Endemic means that those species are found only in one place, and nowhere else on Earth! Madagascar is also experiencing rapid rates of habitat loss. 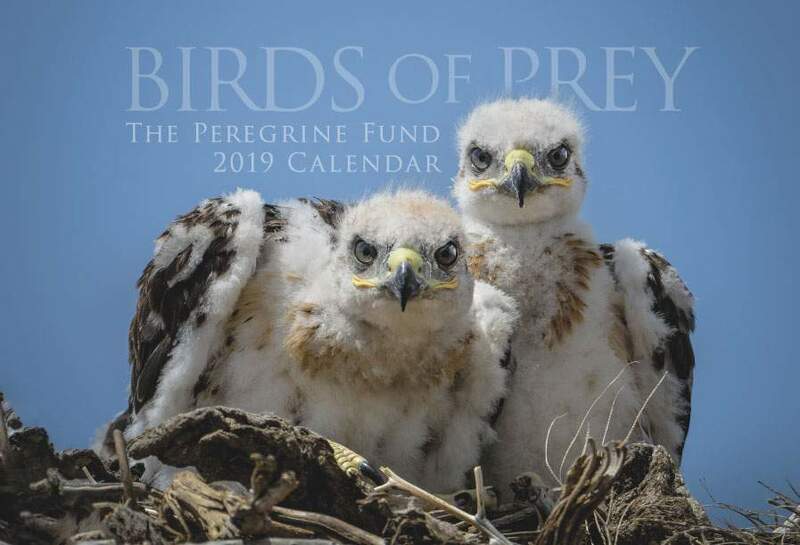 The Peregrine Fund began working in western Madagascar in 1990 and began a project in 1996 with local residents to protect one of the last intact wetlands, which conserves about 10% of the global population of Madagascar Fish Eagles. Territorial pairs continue to be monitored and efforts to protect critical habitat now include two other regions where the birds exist. We also support training for students, training for local persons, and assistance for local communities in managing their resources in a sustainable manner. As the first part of its name implies, the Madagascar Fish Eagle lives only in Madagascar, an island nation located in the India Ocean off the east coast of Africa. As the second part of the name implies, it is a fish eater, which means that it likes to be near water where its main food source resides. This eagle can be found near almost any large body of water, inhabiting coastal areas, islands, lakes, rivers with adjacent woodlands, and mangroves. The Madagascar Fish Eagle is not a high altitude species. It lives in habitats at sea level to around 4,000 feet.. The Madagascar Fish Eagle is a large eagle with a pale head, dark grey beak and a dark brown body. Like other fish-eating eagles, such as the Bald Eagle and the African Fish Eagle, it has a beautiful bright white tail that is clearly visible in flight. Though this eagle passes much of its day perched in large trees, snags or posts along shorelines, it can often be seen soaring over bodies of water. It seems to prefer deep and clear lakes, which makes sense. They have keen eyesight, but it is much easier to spot a fish in clear water than in murky water, and deeper bodies of water likely have greater numbers of larger fish than shallower ones do. Individual eagles may hang out alone, but most often they are seen in pairs, even during the non-breeding season. This diurnal raptor is non-migratory and adults remain on their territories year-round. Studies suggest that the Madagascar Fish Eagle always existed in small numbers. Currently, the population appears stable at slightly less than 300 birds in western and northwestern Madagascar, but it continues to be considered endangered because of potential threats from human activity and water pollution. Deforestation, land development and overfishing also have severely impacted their habitat. 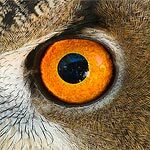 As if that weren't enough, the eagles are threatened by superstition in some parts of their range. Some believe that possessing the foot of a Madagascar Fish Eagle will bring them healing powers, so people are trapping these eagles and chopping off one of their legs. Most of the eagles are unable to survive this severe injury and succumb to stress, infection or starvation. However, there is one bird at The Peregrine Fund's study site at Tsimembo-Manambolomaty Lakes Complex that survived this horrific event. It hunts successfully, has a mate, and has even reared young – all with one foot! The Madagascar Fish Eagle, similar to the Osprey, is primarily a fish eater. However, like most raptors, these fish eagles are opportunistic, which means they won't turn down an easy meal. Apart from fish, they also take crabs, turtles and on rare occasions birds. They use several hunting techniques to score a meal. Normally, they spot fish moving beneath the surface of the water from a strategically chosen perch. They then make a shallow dive and pluck the fish from the water with their strong feet. Large fish are carried to a perch or to land to be eaten. 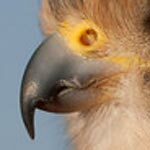 The Madagascar Fish Eagle also will frequently steal, or pirate, prey from other birds. Sometimes, they even steal prey from humans. One biologist observed them come in to fish traps placed by local fishermen. When fish were stranded in the traps, the eagles would remove them before the tide had fallen enough for the fishermen to collect their catch! 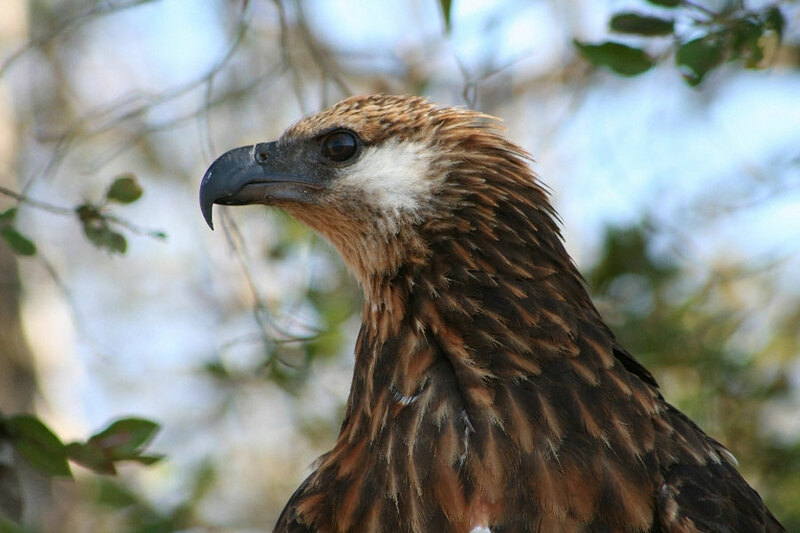 Madagascar Fish Eagles begin their breeding season in May, with courtship and nest building. They build large, bulky stick nests in the forks of large trees or in cliffs or crags on a rocky island. Between the end of May and mid-July, the female lays two eggs, usually several days apart. She usually begins incubating after the first egg is laid. Though the female does the bulk of incubation, the male helps out as well. After about 37-43 days of incubation, the eggs hatch and two tiny, white downy chicks emerge. However, as with some other raptor species, only one chick will survive. This is due to siblicide, where the bigger and stronger nestling out-competes the younger one, which often succumbs to starvation and dehydration. The bigger chick also sometimes kills the smaller, weaker one by pecking it or driving it out of the nest where it falls to its death. The remaining chick grows quickly and at around 70 days of age begins to branch out as it prepares to fledge. It walks along the branches of the nest tree or along the cliff ledges to exercise its wings and practice making short flights or hops from perch to perch. When the chick is about 80 days old, it fledges, or flies, for the first time. The World Center for Birds of Prey offers fun ways to learn about birds of prey. The visitor center offers interactive displays, tours, interesting videos and a children's room with activities from coloring sheets to quizzes to costumes and a touch table for the curious mind. We also have several different birds of prey on display year-around. Knowledgeable staff and volunteers are on hand to answer any questions you may have about Madagascar Fish Eagles or any other bird of prey.